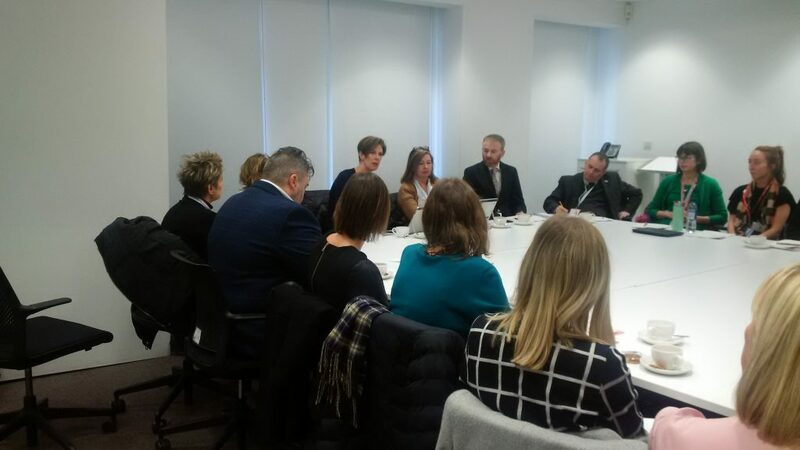 The Glasgow Children’s Hearings Improvement Partnership marked its first anniversary with a gathering of partners to review the first 12 months of operation. 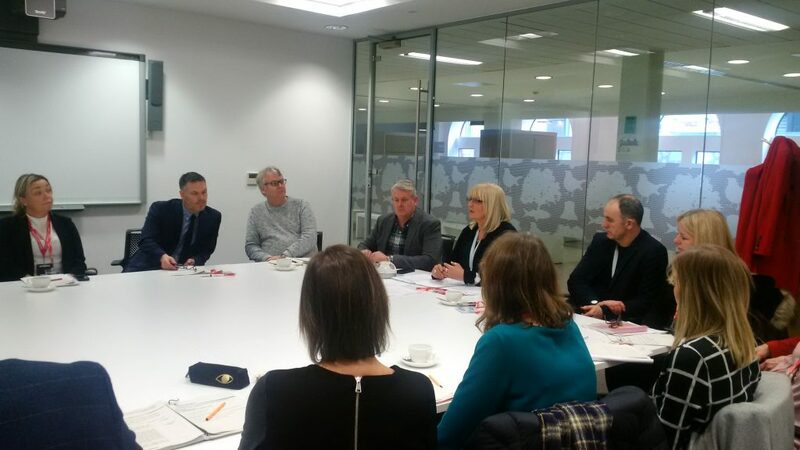 Key partners from across the city got together on Wednesday 30 January to look back on the year and also to look at future work and areas to tackle. The Glasgow CHIP ties in with the work of the national CHIP and also the Better Hearings programme. To find out more about topics and discussions at the event, please click on the + signs below. Speaking after the event, Locality Reporter Manager Gordon Brechin from SCRA said: “It was a great opportunity for both practitioners and senior managers from the various organisations in the Children’s Hearings System to come together, discuss what has worked well over our first year of operation, to see where we still need to make improvements and also to look to the future and see what we need to focus on next. The event, which was chaired by Susan Orr, Head of Service, Children and Families South, said there had been real improvements in the first year of the Glasgow CHIP. She said: “It is important we are working together as effectively as we can. It is also vital that partners across the Children’s Hearings System are as cohesive as we can be and that all partners understand our direction of travel. The meeting agreed that as the Forums develop, consistency in membership was crucial and it was important that education and health were represented on all three groups. Jennifer Phillips and Bill Evans from the Glasgow Area Support Team gave an update on some new initiatives. New assessment framework – this is the new social work report template which has been well received by families and Panel Members. Jennifer said it had “simplified the process and made it more straightforward.” The feedback from families in particular has been positive and the report was now more family friendly. Panel Member profiles – following an initial trial in Aberdeen, these are now being tried in other parts of the country and from 1 February will be tested in the South area of Glasgow. Panel Members are asked to provide a photograph with their first name and if they wish some information about themselves. Out of the 135 Panel Members in the South area, 60 per cent have so far agreed for their photographs to be used. They will be displayed outside the door of Hearing rooms 4 and 6. Everyone attending the Hearing will be given a token to give their views on the pilot. It will run for four months and then be evaluated. Locality Reporter Manager Paul Harkness also gave an update on property improvements in Bell Street. In terms of Hearing room refurbishment, the aim is for all Hearing rooms to be revamped and completed by 2020, but this is funding dependent. A more sensory room for children and young people with autism is also being considered. The meeting also heard about the new operational protocol between SCRA and GCHSCP. This was the review on the first protocol introduced in 2014. The review had the benefit of significant staff consultation and focuses on key practice issues, for example Pre-Hearing engagement between SCRA and the social work department. How the Glasgow CHIP operates was also discussed. Locality Reporter Manager Gordon Brechin explained: “Since being established, the Glasgow CHIP has had a rotating Chair, which I think has worked well. We have also shared the administration of meetings. There has been good attendance at all our meetings and we have tried to take a tri-partite approach to it as much as we can.